Flash Fiction for Aspiring Writers is a writing challenge hosted by Priceless Joy. It involves writing a piece of fiction from the given photo prompt in around 75-150 words – give or take 25 words. If you’d like to join in with the challenge, follow the above link to see what to do. The challenge runs from Tuesday to Tuesday every week. Here is this week’s prompt, kindly provided by Louise. Thank you, Lou! Quentin stormed into the morning room and thrust the letter into his wife’s hands. Amelia shifted in her chair, avoiding his outraged glare. The note-paper was all too familiar. ‘Where did you find it?’ Such a mundane question, yet she could think of nothing appropriate to say. Kitchener World War 1 Recruitment poster. Date:1914 Author: Arthur Leete (1882-1933). Public Domain. When war broke out in August 1914, it became clear that the British Army needed far more men than the numbers already recruited in the regular army. 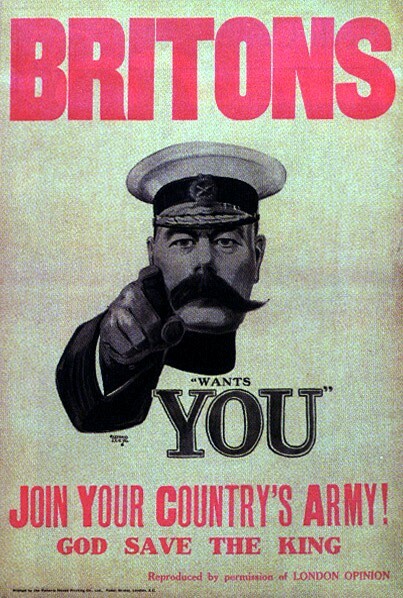 The war minister at the time, Lord Kitchener, began a campaign to urge men aged between 19 and 30 to (voluntarily} join up. Three weeks later, the upper age limit was raised to 35. By mid-September, over 500,000 men had volunteered – and over a million by January 1915. Many officials in both the military and the government initially believed that the war with Germany would be ‘over by Christmas’. But Lord Kitchener was unconvinced. Needless to say, as war dragged on, eventually to last four long years, concerns over the provision of manpower led to again altering the recruitment ages, this time for men between 18 and 50. During this time, many young men (250, 000 of them in Britain) found little difficulty in falsifying their age. There are stories of boys as young as 15 – a few even younger – joining up, until eventual conscription in March 1916 made it more difficult for them to do so. Wonderful story, Millie! I could feel the father’s anger and the timidity of the mother. A special bonus was the history that you included in your post. Great story! Thanks, PJ. I imagine many parents in this situation would have been angry or upset – or both. I just added the little bit about Kitchener because I’d mentioned him in the story and not every one would know who he was. Glad you thought it was OK. I thought it was wonderful! I like how you can see and understand each character’s point of view here. I hope the son will return safely! Thanks Jade. I hoped that would come through in the dialogue. Too many men never came home again, but I can hope that James does. Very poignant. History hasn’t changed too much. Great take! Thank you! Sadly, I have to agree with you about history repeating itself. We never seem to learn from past mistakes. That tragic last line, I guess it fooled so many people who signed up or had children that went off to war. Excellent take. I agree. No one had experienced this type of warfare before and many thought beating Germany wound be a cinch. How mistaken they all were. Thanks Iain. I love your story Millie. I can really see the look in her eyes and you made it so believable. I am always so impressed when someone can come up with a story from a picture. Great job! By the way, it is scary to think boys as young as 15 years old would join up. Thanks Antonia. I agree, the thought of children in the trenches is quite horrifying. I suppose the lads saw joining up as being better than school, or doing boring jobs at home. Little did they know just how bad the conditions of battle were over in France. The type of warfare in WW1 (trench warfare) was unprecedented. Great story, a scary time for them. I also like the misdirection – I was convinced she was having an affair at first. Like Ali, I thought at first she was having an affair. What a sadder twist, though. Those poor parents. Seeing them be worried but hopeful is heartbreaking, when from the perspective of history, we know how bleak the prospects are of their son returning safely. And definitely not before Christmas. Great use of the prompt! Hi Joy. Although the pic doesn’t depict this period (it’s late 1800s) I chose WW1 simply because I’m fascinated with it (or perhaps the phrase should be ‘horrifed by it’). It was such an awful war and the loss of life was tremendous, on all sides. Anyway, I’m glad you, like Ali, picked up the misdirection. I wasn’t sure it came through too well (not enough words to develop it!). This is the first flash fic I’ve done for a few weeks. In fact, I’ve hardly done any posts at all for several reasons, but I’ll try to visit blogs very soon. Thanks for the nice comment. I can understand your fascination / horror; it’s a period of such extremes. And I can relate to feeling like you don’t have enough words to develop it — but then, sometimes it comes through just fine anyway, and you didn’t need those extra words after all. I haven’t had time to keep up on my normal story/blogging schedule lately either, and it’s just going to get worse because I’m traveling for the holidays and will be gone for the two weeks I normally get the most written. I’m hoping to get at least a few more flash pieces posted in the new few weeks, and maybe -gasp- even make some progress on my novel, but we’ll see. Good to have a catch up from you! Funnily enough, I’ve just clicked on your blog to read a few posts. Does your travelling involve being away from home for Christmas? I know you’re used to your ‘gadabout’ job, but I imagine it’s hard at holiday times. I hope you don’t get too stressed trying to do too much at once. I’m finding it hard to fit blogging in at all and I have so many travel/history posts to write up – some from 2015. (Not to mention blog award posts.) I’d better get back to reading your posts now. Yes, I’ll be at my sister’s in northern CA for the entire holiday break. My parents will be there too, so I can’t imagine I’ll get any writing done, although I might be able to squeeze in some reading. I’m just now realizing what a crazy plan this is, that I won’t have even one whole day off at home between the last day of work in December and the first day in January. What was I thinking? Ah well, January will just be a little crazier than usual. I noticed on Goodreads how many books you get through! My reading time is limited to bedtime reading only, and I usually nod off after a few pages, so I don’t get through books too quickly nowadays. I’m sure you’ll enjoy a lovely family Christmas, so try not to feel too guilty about being unable to do much writing. Everyone deserves a break. When I joined Goodreads, I started off writing reviews quite regularly but during last year my time was taken up by so many other things, I hardly looked at the site. I realise what a great place Goodreads is for authors and I really should make more effort with it. I enjoy writing reviews, too. Hopefully I’ll find more time to do a few next year. In a few documentaries that I had watched related to the WW they spoke about the (recruitment) poster. I think, still today it sends a very strong message across. Thanks, Norma. Yes, the poster is quite famous. Kitchener looks so pompous (can’t say I like his moustache!) but it turned out he was right. War lasted a lot longer than four months. I’m interested in this period because I taught it (to Year 9 students) for several years. It’s on my list of possible themes for a book. We’ll see. My heart aches for these mothers. That is a lovely insight in to British history. Great write. You’ll probably have read my daughter’s explanation about her prompt by now. 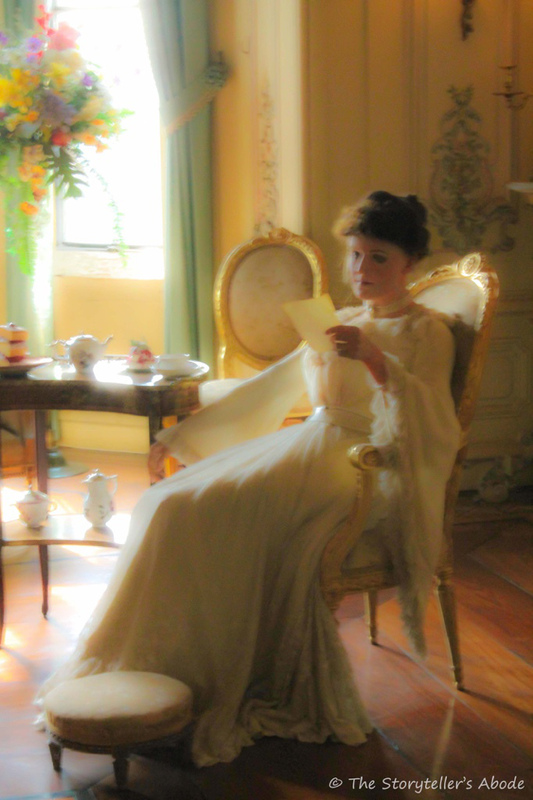 But I suppose it can be applied well to any situation in which someone receives news in a letter – good or bad. Well done Millie! I’d love to read more. I read Louise’s submission as well which was completely different. I love the historical reference to WWI. I have a story brewing from that era based on a true event. But I am a bit stagnant lately and it’s going to be awhile I fear! Best of the season! oh I would love to read yours too! I read someone else’s here about Italy during the war. Pattimoed at Pilot Fish. She’s a lovely writer! A tough time in history.. but very well written, Millie! Thank you, Christy. WW1 is a period I’m really interested in, although the appalling conditions and enormous fatalities horrify me. Thank you for sharing your story, Millie. I have a feeling that they are going to lose their son. That war took too many lives.